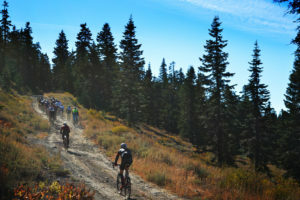 After winning Five Bucks a Foot, the annual Sierra Buttes Trail Stewardship fundraiser for trails, Michael Knighten of San Francisco was rewarded with his choice of any Santa Cruz mountain bike worth up to $10,000. 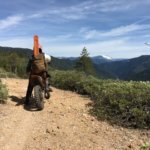 But instead of claiming the prize for himself, Michael chose to generously donate five brand new Santa Cruz Chameleons worth $2,000 each to five kids in Plumas County, giving birth to a new program called Knights of the Lost Sierra. 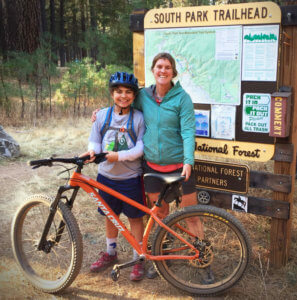 Managed by Mandy Beatty, our heroic Trails Program Coordinator, Knights of the Lost Sierra was an open application to any Plumas County youth interested in volunteering 10 separate 5-hour days at SBTS events and trail days, working 50 total hours to ownership of a new mountain bike. 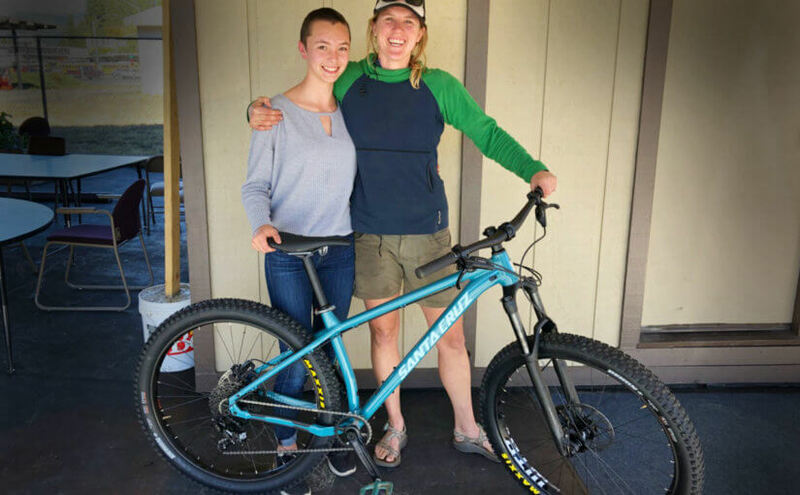 Over the last year, five youths put in the time and effort, each earning themselves a brand new mountain bike thanks to Michael’s generosity and the partnership of Santa Cruz Bicycles. 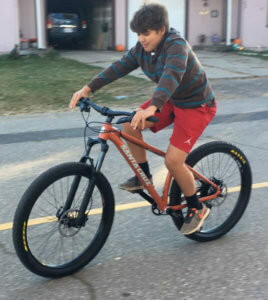 Caleb receiving his Santa Cruz bike! 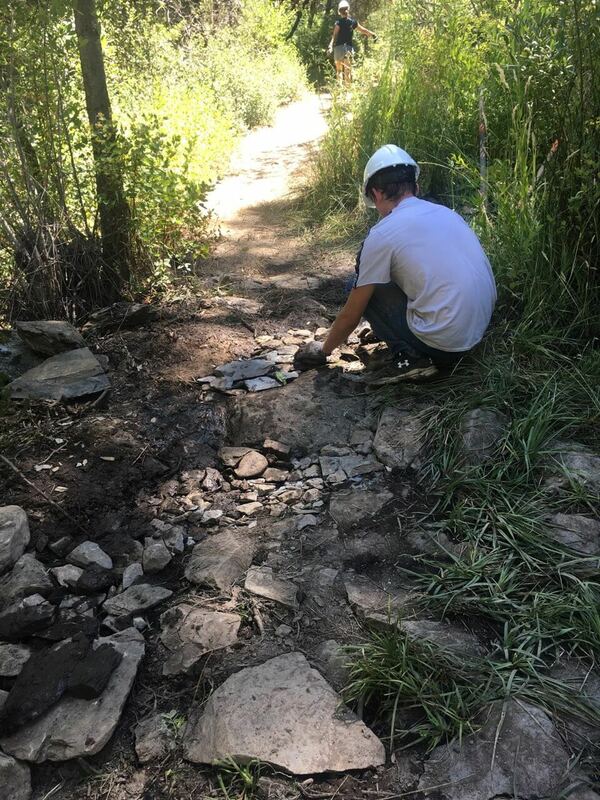 Caleb’s involvement was particularly noteworthy because he wanted mentorship from Mandy on mapping the Boyles Ravine trail for his high school senior project. 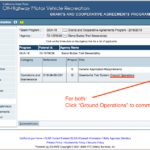 Caleb mapped the trail and presented it to the land manager, American Valley Water District. 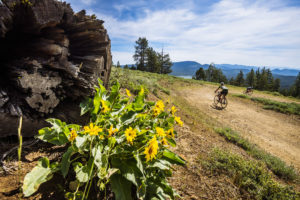 He attended the AVWD Board meeting and presented his plan for Boyles Ravine trail. 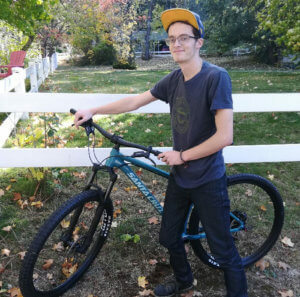 Caleb will put his new Santa Cruz to good use, as he is attending Feather River College and will be commuting to school on his bike instead of driving a car. He also plans to participate in SBTS bike events in the future. 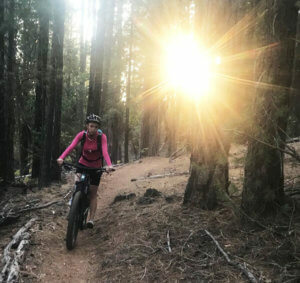 Kylie showing what it is all about! Kylie first learned of the Knights program when volunteering with Plumas Charter School and SBTS. Kylie is involved with community organizations including 5 Foot Farm and West End Theatre, and her concern for ensuring a good trail user experience for all user groups motivated her to volunteer in the Knights program. 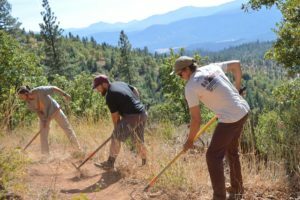 “I learned that I enjoy trail working and mountain bike riding, and I learned that service can be fun sometimes,” said Kylie. 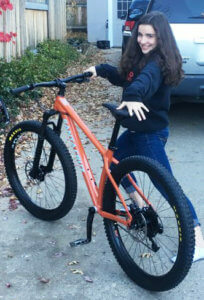 Malachite checking out his new bike! 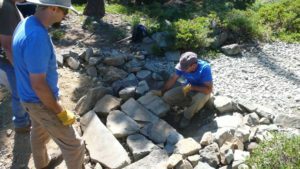 Ben was on the Storrie High School Crew that Mandy also manages, and excelled as a leader amongst his peers, especially with rock work. 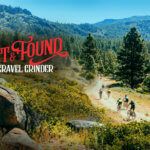 Before the Knights program, Ben had never been to a bicycle event before, and his volunteer work at Grinduro and Lost and Found was very helpful. 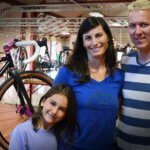 Emma lives in Quincy and attended Quincy High School and Plumas Charter School. 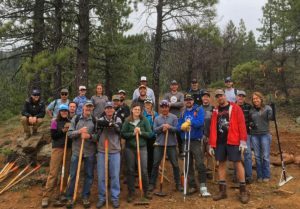 Her motivation for volunteering was mainly to meet and hang out with new friends, but gained an understanding of what it means to put in a hard day’s work. Mandy took Malachite on his first ride at South Park and he crushed it! Malachite was excited to earn his new Santa Cruz mountain bike because he lives outside of Quincy, and the bike represents an independent mode of transportation for him. Malachite and Emma both spent a lot of time together brushing numerous trails. 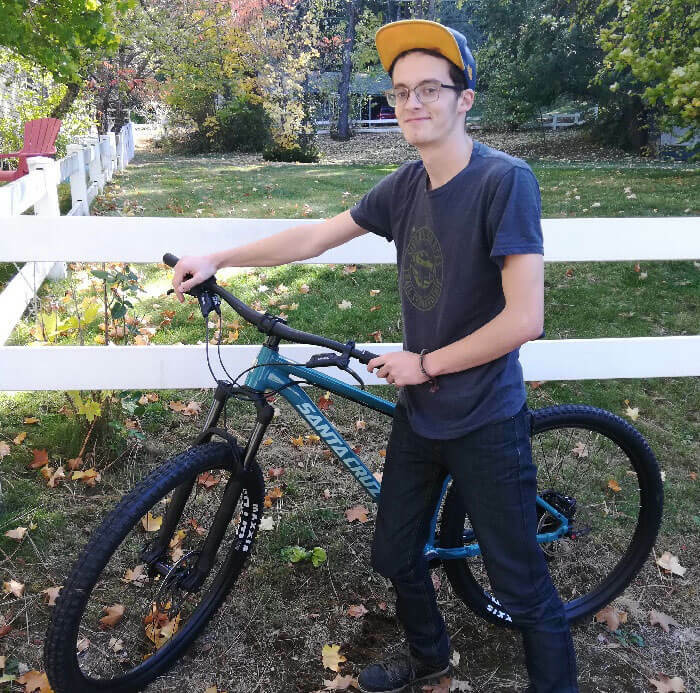 “I am excited to mountain bike the trails that I helped work on with my step dad Rob, and also want to mountain bike Mount Hough once I’m comfortable on the new bike,” said Malachite. 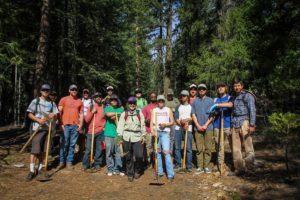 The kids earned their hours working on numerous projects including trail work in South Park, Bucks Lake Wilderness, Mount Hough, Boyles Ravine and the Lakes Basin Recreation Area, as well as volunteering at SBTS cycling events including Grinduro and Lost and Found.